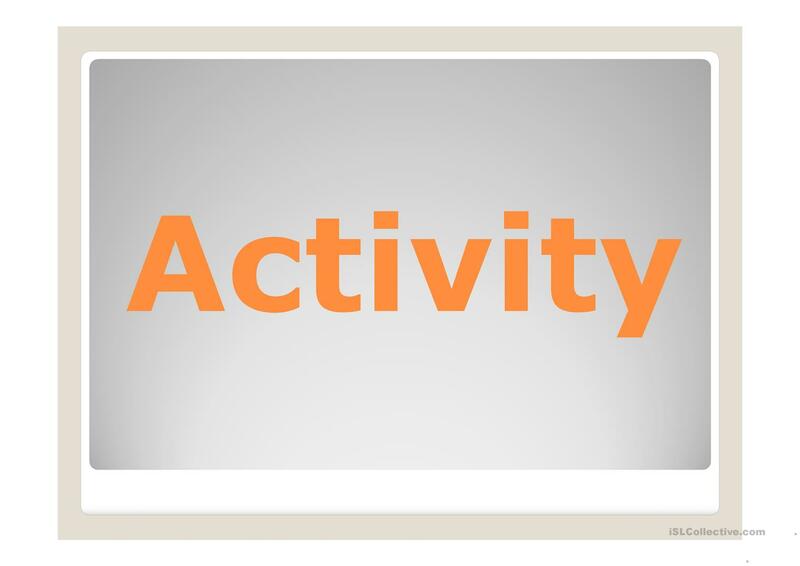 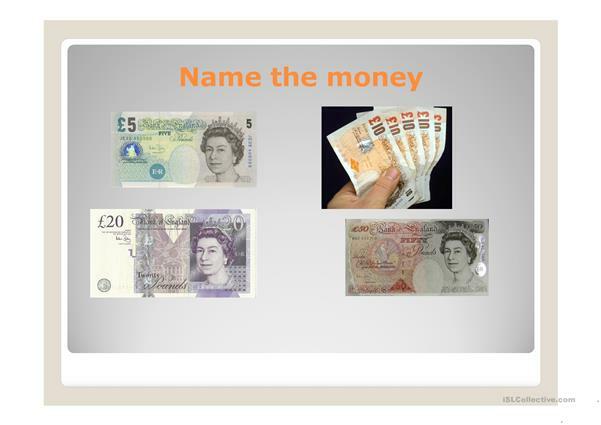 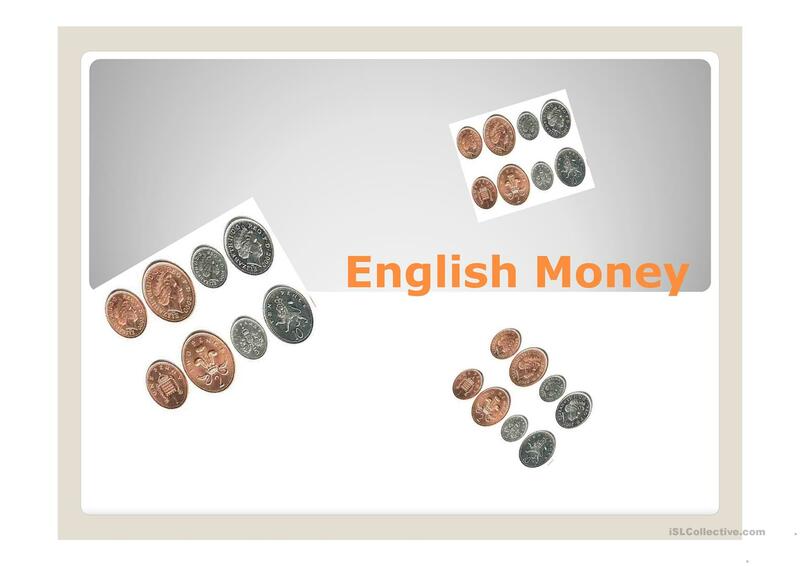 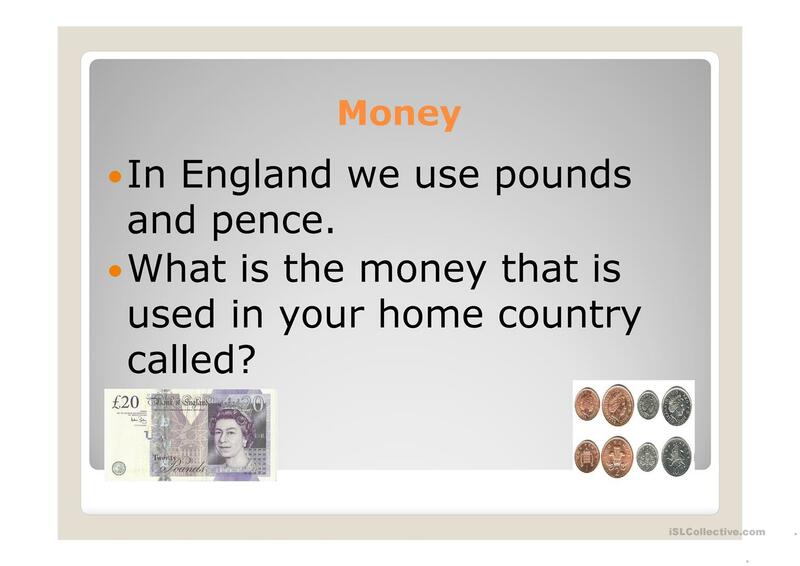 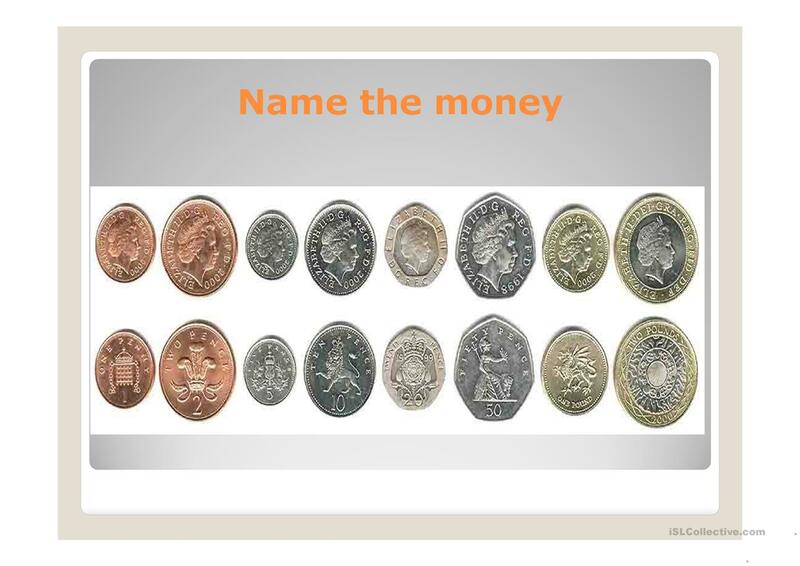 This is a PowerPoint that introduces SS to English Money and words associated with money. Please feel free to use it alongside my w_s on money. 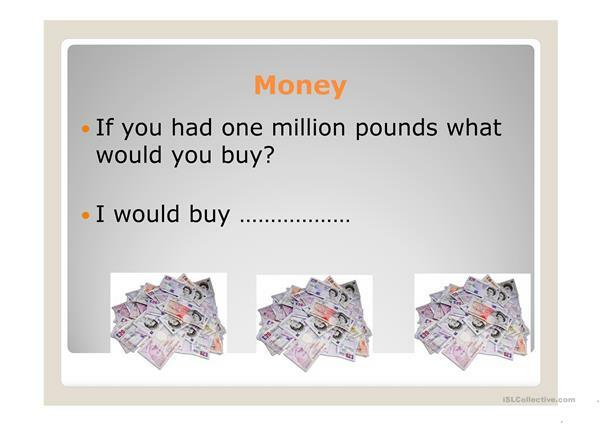 The last slide is also a conversation starter about what the SS would buy if they had one million pounds. This downloadable teaching material is best suited for high school students, elementary school students and adults at Beginner (pre-A1) level. It is a valuable material for enhancing your pupils' Speaking skills. 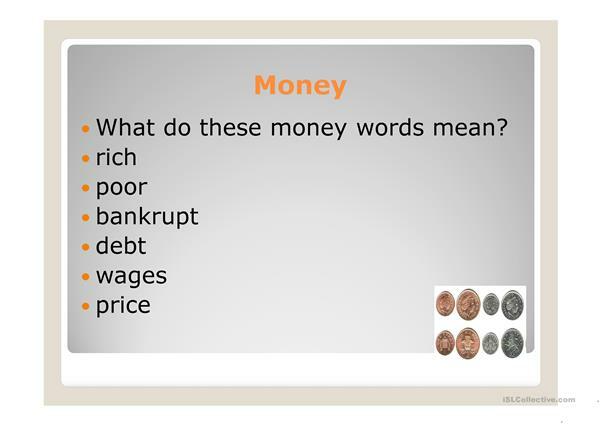 It is focused on the theme of Money.